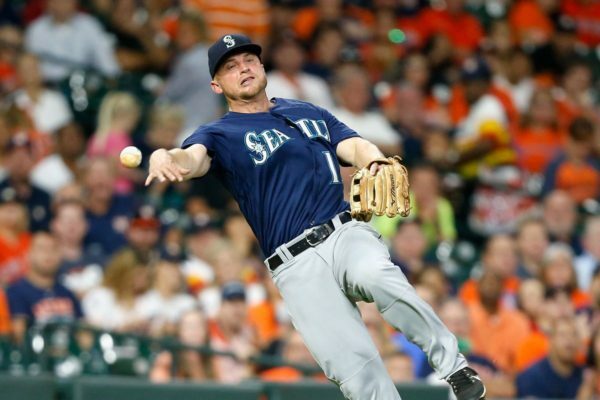 Third baseman Kyle Seager could be someone of interest to the San Diego Padres as they search for an infielder for 2019 and beyond. The Mariners appear ready to completely dismantle their team, so a trade might be possible. But let’s take a look at the positives and negatives of the 31-year-old infielder first. The Seattle Mariners are in the midst of an epic teardown of their major league team. Robinson Cano, Jean Segura, James Paxton, Alex Colome, Mike Zunino, and Edwin Diaz were all dealt in the past few weeks as the team has decided to completely reboot their major league roster. 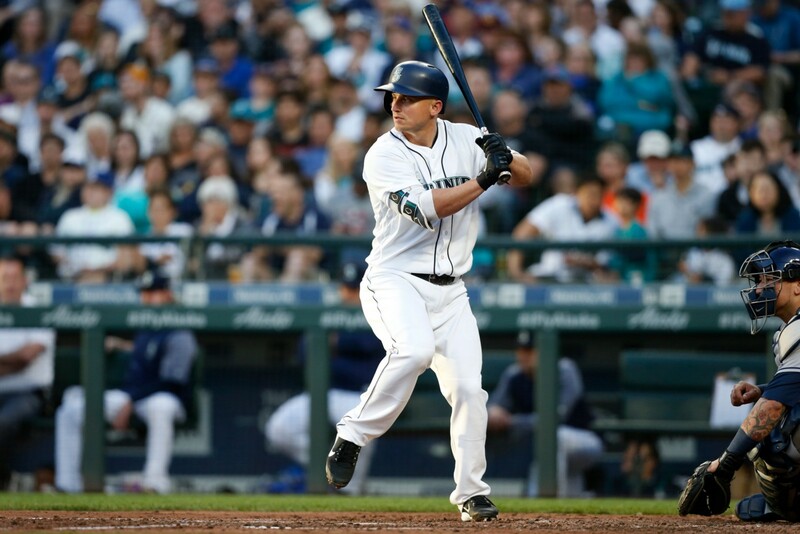 There are still some key members who could be dealt, and someone who may be of interest to the San Diego Padres is Kyle Seager. At 31 years of age, he is not a young player, but could help stabilize the left side of the infield for the Padres in the near future. The durable, left-handed hitter is a former all-star and the older brother of Dodgers’ shortstop Corey Seager. He has totaled 175 homers in his career and recorded a 27 WAR in seven complete seasons with the Mariners. At this point, it is being reported that the Mariners are desperate to remove Seager and his $57 million of guaranteed money from their future commitments. Exactly how desperate, and how much money they are willing to eat, is anybody’s guess. With multiple young players now on the roster and in the farm system, the team will likely move on from Seager if they are offered a reasonable trade. With no current options at third base except for maybe Wil Myers, the Padres will explore this idea for sure. Seager has three years left on his current deal and if the Mariners were to eat enough money, it could be beneficial for the Padres to bring in the third baseman. It all comes down to money and cost. If the M’s were to eat somewhere around half the contract, you would expect that they would demand some pretty viable players in return. Essentially, the more money the Padres take on, the lesser the pedigree of prospect they would need to part with. At what point is taking on Seager an opportunistic move for the team, and at what point are the Padres potentially taking on another team’s problem? Let’s delve a little further into Seager. He is considered a top-rated defender at the position. He won a Gold Glove in 2014 and is always among the defensive leaders at the hot corner. Seager also continually puts up exit velocity numbers above the average. If the Padres can get him to make more contact, he could get back to the form in which he produced like a top third baseman in the league. The slugging third baseman is coming off his worst year in the major leagues where he struggled all season long with the bat. He put up a .673 OPS in 155 games for the Mariners, which was way off from his career average of a .765 OPS. Is this a sign that his offensive production will continue to trend this way? There were issues with his timing and hands, as Seager struck out a career-high 138 times in 2018. With age, moving parts in a swing can be difficult to perfect. He will need to stay on top of his swing and work on continual adjustments in order to be a viable major leaguer moving forward. There are some real concerns with Seager, and they have to do with his production. Especially when you factor in the money that he is owed. Unless he is able to be acquired for pennies on the dollar, the Padres should probably stay away. There is some feeling that the Mariners could package Mitch Haniger with Seager to get a deal done, but the Padres are stacked at the outfield position. Ken Rosenthal reported on Tuesday that the M’s were against this idea, so this doesn’t seem feasible. Kyle Seager should have a better year than he did in 2018, but it is natural to be a little gun-shy about acquiring him. At 31, he is clearly entering the tail-end of his major league career. Investing money in him until he is 33 is a risky proposition for a Padres team on the rise. It may be wiser to search for a third baseman elsewhere. Seager is owed money for the next three seasons and Hudson Potts is looming in the minor leagues. Potts will require a year or two of more seasoning, but the Padres are very pleased with what he brings to the table. Seager is an option for the Padres but, again, the deal must really make sense for the Padres financially. Previous Will the Padres Acquire a Pitcher at the Winter Meetings? There is zero feeling of Seager plus Haniger. If they included Haniger, it would cost F. Mejia, C. Paddack, L. Patino, X. Edwards, Andres Munoz, Fran. Reyes, Wil Myers for Seager, Haniger, and Leake with no money changing hands. Just to shore up a couple things, Seager played injured the last half of the year and is a notoriously slow starter, so figure next season to be a big bounceback year. Also Seager has a 4th season that locks if traded. Just stay young at 3rd,cut myers and move,on,tax deduction loss.use potts or garcia,dont rush tatis.myers is on d.l , three times a year. Not solarte. Good work. This is fruitful to look into. The old Padre would be all over seager. We are turning the corner and seager shouldn’t be a part of it unless it’s his brother corey. This is pure INSANITY! Teams paying players for NOT playing with them! And, someone has to pick up the cost- YOU the fans. of marginal players. I’m wondering what Boyer or Brooks would get now? Wow dude you really drink the kool-aid. I wonder if the term “media rights” means anything to you. Corporate partnerships being what they are, you are ONLY going to hear about inflated player salaries and the poor teams and how we foot the bill (I guess…). Anyway, here goes: The club’s payroll for players and ticket prices have literally nothing to do with each other. If you look at modern business, especially sports, the amount of revenue streams, including *cough* gambling are so massive, that clubs could spend 300-400 million per year on players and not feel any pinch (and yes, even the Padres could approach 250). Don’t believe me? Google literally anything regarding MLB revenue streams and see the massive upswing in profit. Forbes even wrote an article. Keep in mind though, the semi-illegal stuff that the NBA and NFL masterminded isn’t gonna be on the books, but believe me, it’s all there and the official dollar figures are not even close to what is reported. Regardless, take a look at current media deals, advertising deals, etc. Further, just look at what a corporate structure is based on (or Capitalism for that matter) and you might see that this is profit motivated, purely and the tale is told through media partnerships that you currently subscribe to. This is not 1968, or 1978, or 1988 my friend, it’s all changed. If you need a window to look through, look at Michael Jordan (the product) in basketball, what happened with Nike, and how Donald Stern engineered what became the beginning of a blueprint for all sports. The players now are merely a diminished side product in the face of what the actual product of baseball is now. What you are also missing is the absolute weakness of the MLBPA and its leadership- or even ability to be vocal. Honestly, even consider the idea of the “Luxury Tax”- it is an outlet for clubs to spend less on players while their revenue streams rake in cash- massively. Further, players are not millionaires. I dare you to look at the average amount of time a person spends in a major league uniform. I also would entice you to delve into average salaries for players in an aggregate manner for anyone who actually makes it five years in this sport. With the arbitration and “Team Control” system set up, something in the neighborhood of 90% of MLB players will never see “millions”. If you make 80K per year for 30 years, you will have far exceeded anything most MLB players will ever make. While baseball has some positive to its structure as far a players go, take a look at the NFL. It’s essentially legislated slavery. If you don’t believe me, which you won’t, just look up the number, look at the facts, and look at the present. You will always hear about the “big contracts”, and those have nothing to do with what several hundred MLB players actually make. Congratulate Ron Fowler, he’s great at this- and most likely why this club will not actually spend. It’s okay though, if they do, they’ll just raise ticket prices… of that single minute fact, you are literally correct. Seager for Myers is a terrible idea. Pretty sure I have this right but if Kyle is traded from Seattle his team option becomes a player option and at 34 going on 35 it would most certainly be picked up. The money is close to a wash only saving 2M. Seager is 71M (19M, 19M, 18M, 15M) option v. Myers at 5.5M, 22.5M, 22.5M, 22.5M). Both contracts are 4yrs so the Pads arent getting out of the commitment any sooner. 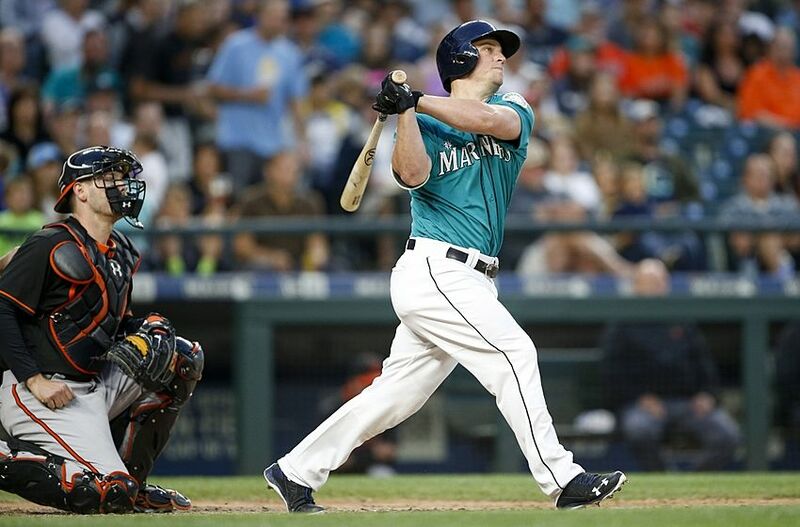 Kyle Seager is also 3 years older and isnt exactly aging well. This is choosing death by a gun v. death by a knife. You’re still dying in either scenario. I mostly agree with you but I want to see Myers hit the road, even if it involved Seager (kind of). Although it doesn’t have a lot of logic financially, it would indicate (at least to me) that Preller is maturing as a GM. It also adds a professional ball player at 3B (which the Pads seem to have an aversion to) and signals that Preller can fix his dumb mistakes. After all, he actually got rid of Spangenberg who had no business on a 40-man, so maybe he is going to take some better approaches going forward. Granted, Seager is one decent-sized mistake but if you can pull a couple young prospects, Mike Leake and a ton of cash out of the M’s, I’d take this in a heartbeat. And hell, this year, maybe it happens since DiPoto does have a plan. Just god please, let’s hope AJ does, and he gets rid of Wil. Let’s see what happens with Reyes and Renfroe on the corner OF spots this year. There wuld be zero young prospects going to the Padres. Padres would be giving Myers and something like X. Edwards and A. Munoz for Seager, Leake, and cash considerations.